Our goal is to not only manage and treat your pain, but to return you to an improved way of life. I live with constant pain. I have pain or numbness in my wrists after working at my computer. I may have a hormonal imbalance. I have neck and/or back pain. 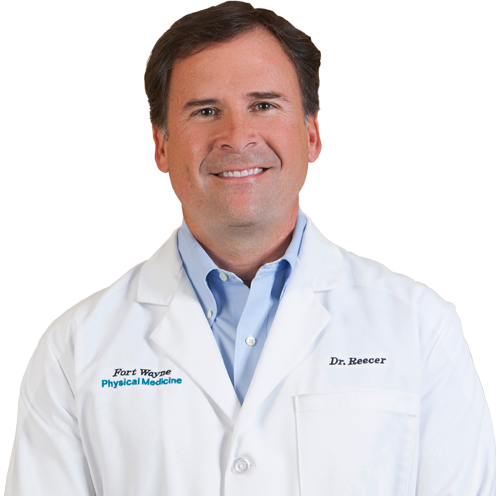 Dr. Mark Reecer started Fort Wayne Physical Medicine in 2000 to provide the best Physical Medicine and Pain Management services in Northeast Indiana. For our patients’ convenience, we currently have office hours in Fort Wayne and Warsaw, IN.